The art world is know because of its exclusitivity. The players are few, but the followers are many. What contemporary art is, is decided by some galleries, museums, artists, institutions and curators. There is a lot of art left unseen to the world, due to limited platforms and people in charge. This is about to change through technology and new business models. This Kickstart, developed by two girls Nur & Irina, project offers a solution to making you a real curator. 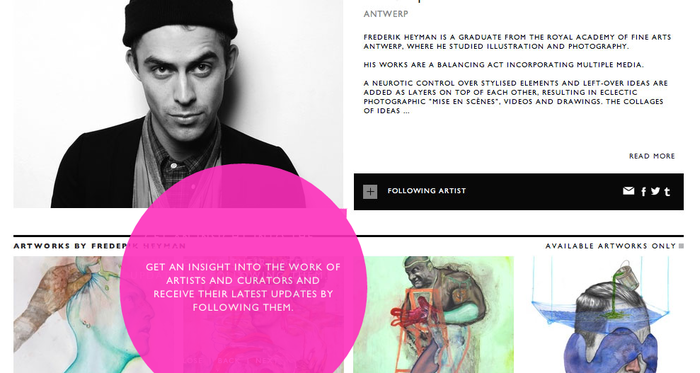 Art:I:Curate is a new platform that connects emerging artists and curators worldwide with you. Letting you decide what contemporary art is today. This project is taking place online through a website, and offline through exhibits and galleries. Together with experts from cultural industries, the most promising emerging artists are selected and featured on the website – articurate.net. Here you can discover, like, share and decide which artists will be exhibited offline. Then the exhibits are organized depending on which artists were liked the most. The events are diverse, stimulating and a lot of fun. A mix of people will be invited: designers will be chatting to bankers, actors to lawyers, psychiatrists to writers, academics to entrepreneurs, and artists to clerks. All representing the vast online community. This entry was posted on April 22, 2013 by mcquant in Cases and tagged Art, business models, Contemporary Art, Curating, Illustration, Kickstarter, Platform, Web.